Could it have been anyone else? Comic art during the '90s is deservedly trashed, but Jim Lee’s art always delivered the goods. His ability to tell a story may not have been as well realized as Jack Kirby or Neal Adams, but his dynamic use of action and meticulous attention to detail easily made up for it. 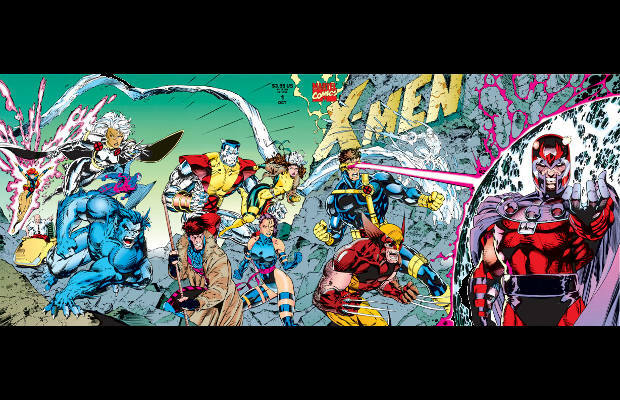 With the help of Lee’s dynamic gatefold variant covers, X-Men #1 became the highest-selling comic book of all time; a record it still holds today after selling 8.1 million copies. It seemed like everyone had a copy of the book at the time and it helped solidify Lee’s status as one of the comic industry’s hottest artists. Chances are most people won’t be able to remember the story they read in that issue, but they’ll still vividly remember those covers. Sales figures aside, it’s the contributions to the character designs that has been Lee’s real legacy. When you close your eyes and try to imagine an X-Men character such as Jean Grey, Storm, or Cyclops, chances are they are wearing the costumes that Lee designed. The X-Men wouldn't be in the position that they are in today without Lee's work.